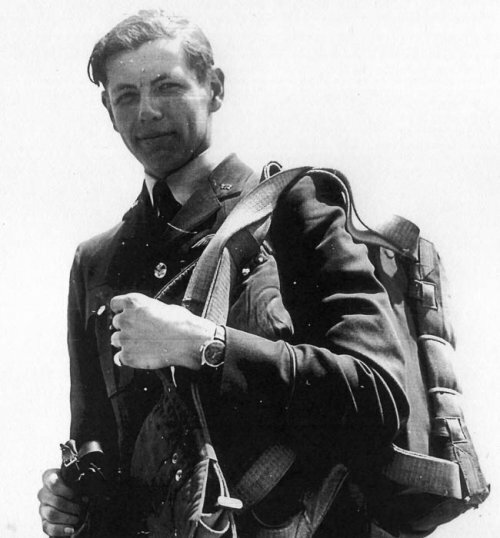 501 Squadron – Duncan Alexander Hewitt was born in Toronto, Canada on 30th August 1919, his family were from Saint John, New Brunswick. He joined the RAFVR about January 1938 as an Airman u/t Pilot. Called up on 1st September 1939, he was commissioned in December and joined 501 Squadron in France in mid-May 1940. He shared in the destruction of a He111 on the 27th when 501 engaged aircraft of KG53 east of Forges-les-Eaux. Back operating from the UK on 11th July Hewitt claimed to have shot down a Hurricane with German markings. He was lost the next day, in Hurricane P3084. With F/Lt. E Holden he went after a Do17 that was making a reconnaissance flight over Portland Bill. They found the enemy aircraft but kept losing it in bad visibility. A number of attacks were made on it at very low level, during one of which Hewitt flew into the sea. In his combat report S/Ldr. HAV Hogan said that he believed that Hewitt’s aircraft was caught in the Dornier’s slipstream and forced downward. 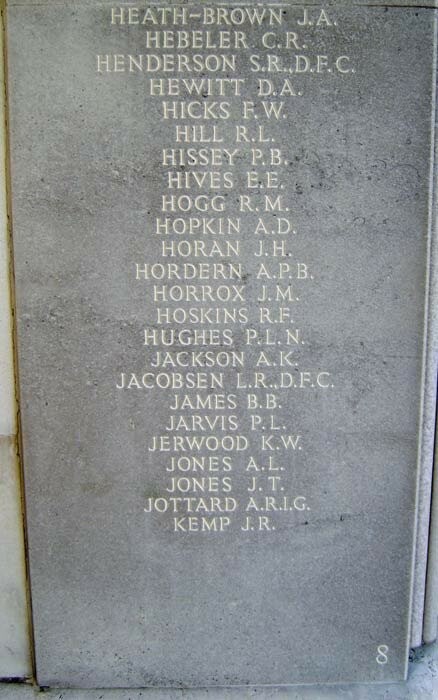 His body was never recovered and he is remembered on the Runnymede Memorial, Panel 8.